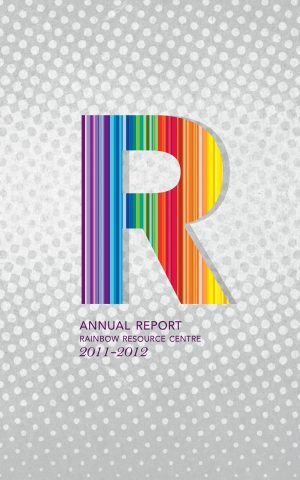 We are pleased to present our archive of annual reports to download in PDF. 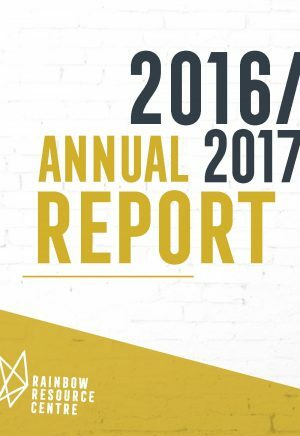 We are pleased to provide you with our annual report for the 2017-18 fiscal year. We’re pleased to provide you with our Annual Report for the 2015-16 fiscal year. We’ve continued to make changes to ensure the sustainability of the Centre and to enhance the quality of our programming. Following two years of deficit budgets we took a hard look at our programming, sources of revenue, and the impact of our services. 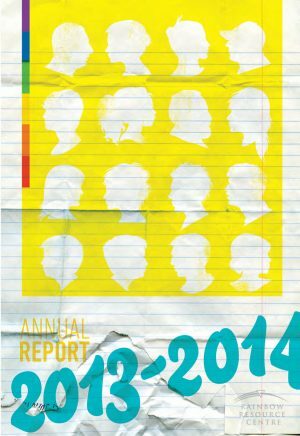 We are pleased to provide our Annual Report for the 2014-2015 fiscal year. As you will read in the report, we have made some significant programming changes to ensure quality service to our communities. 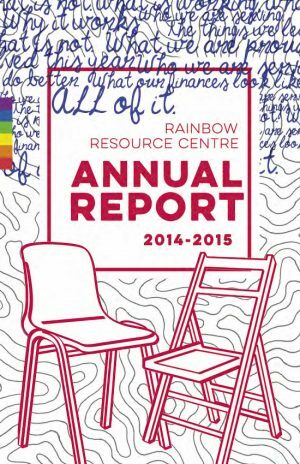 Over this past year, the Rainbow Resource Centre has been extremely busy. We have seen continuing growth in all of our programs, and have also seen the development of new programs, new community initiatives, and new volunteer groups that are making use of our expanded space. 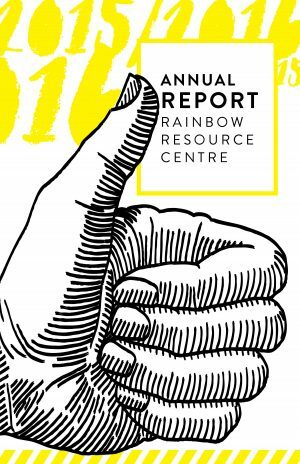 It’s been another year of go-go-go at the Rainbow Resource Centre - the Centre continues to grow and expand the services we are offering and the number of community members accessing the Centre and the different programs and services we offer continues to climb. 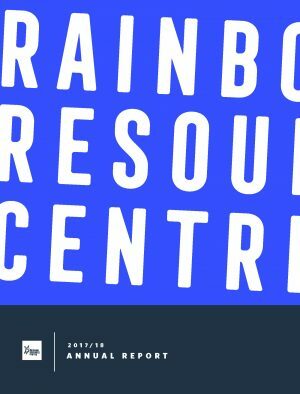 Over the past 12 months, Rainbow Resource Centre has connected and engaged with more members of our fabulous community. This increase is attributed to being able to offer more programming, lively community events, energized fundraisers, our highly motivated volunteers, the growing reach of Rainbow News, and finally with more folks just dropping by. Sign up for our newsletter to receive updates on our latest news, events, and programming via email.